Dante Hall vs Devin Hester vs Deion Sanders: Who do you pick with the game on the line? This article wasn’t created to debate who was the most productive because that is obvious based on stats. Devin Hester finished his career with 14 punt returns for touchdowns — also the best in NFL history — and five TDs on kickoff returns in 11 seasons. Dante Hall retired with 12 in nine years. “Neon Deion” had nine total kick return TDs in 14 years. When you throw in fumble and interception returns, you get 10 more TUDs on top of Deion’s nine return TUDs. “Prime Time” is one of two NFL players to score TUDs in six different ways. But who was the most electric? If for some reason you found yourself in a Liam Neeson Taken-type scenario and your child’s life depended on a return for a TUD, who do you pick? Has there ever been a more exciting, athletically gifted kick returner than the “Human Joystick,” Dante Hall? Dude was like a cat. 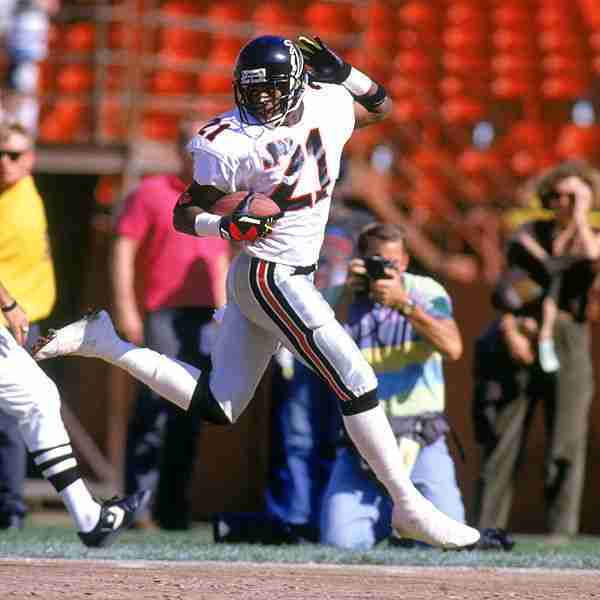 Both Hall and Deion were fast, but Hester’s straight line speed and ability to read blocks was ridiculous. I noted the stats, but throw them out the window – if you could pick one of these three dudes to return a kick with the game on the line, who would you pick? Next articleWhich NFL Team Has The Most Fans?